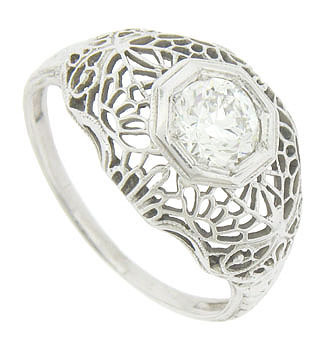 Elaborate floral filigree adorns the sides and shoulders of this phenomenal antique style engagement ring. 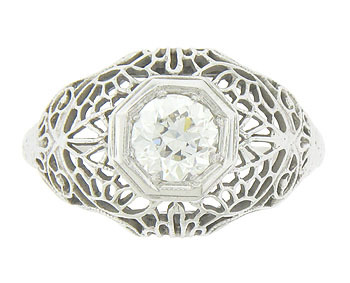 The brightly polished octagonal center mount features a .60 carat, G color, Vs2 clarity round cut diamond. 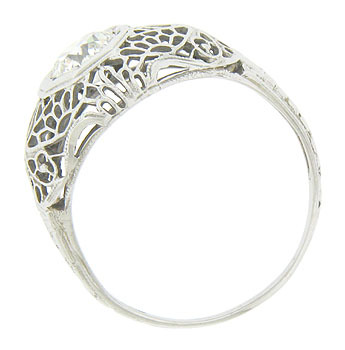 Elaborate organic engraving is worked down the sides of the band. 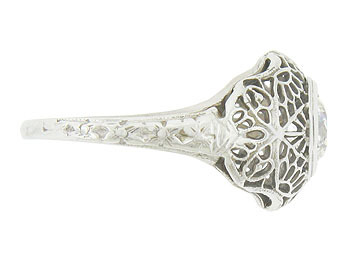 The ring is crafted of 14K white gold and measures 12 mm in width. Size 7. We can re-size.